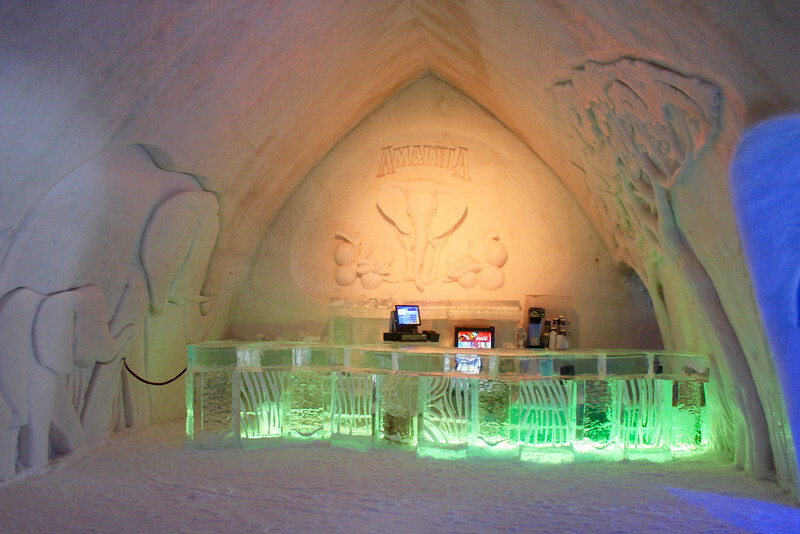 I think every hotel should have an ice slide in the lobby! The bars serve cocktails in ice glasses (what else?). So be sure to wear your mittens! 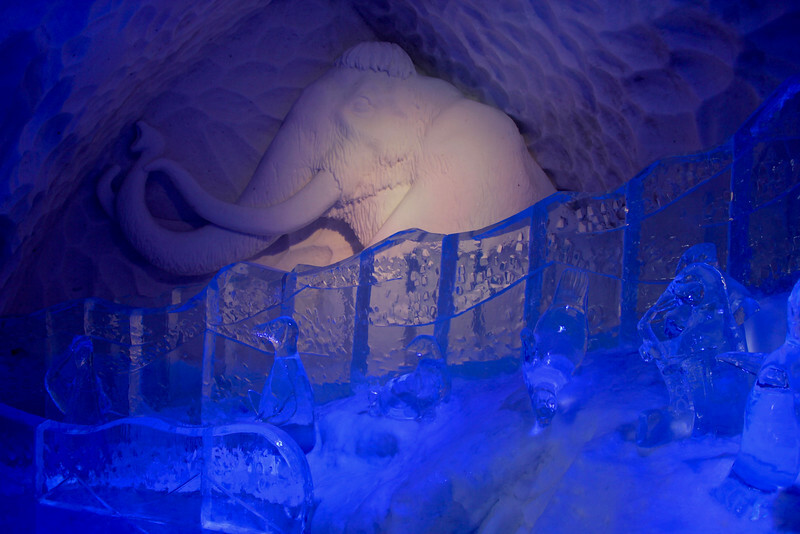 There are 44 rooms in the Hôtel de Glace, ranging from standard to the themed suites pictured here, which feature elaborate sculptures and lighting displays. 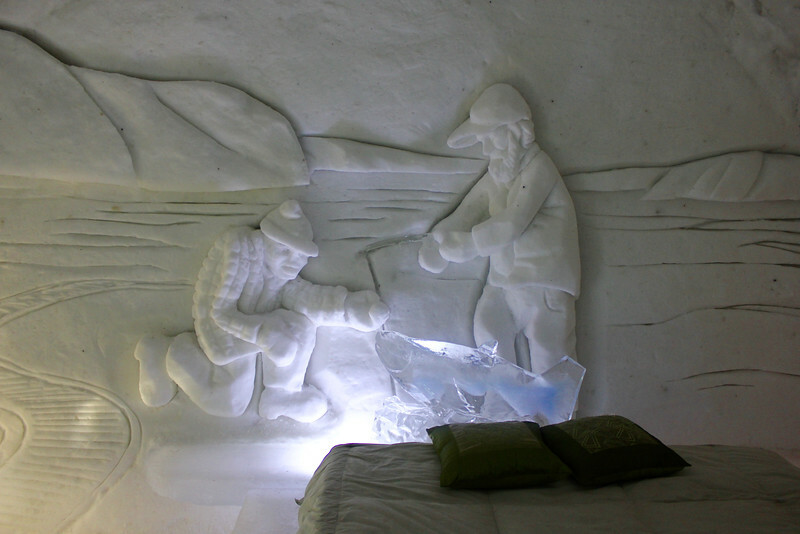 Each of the suites is designed by a different artist and depicts a scene that reflects the year’s theme. 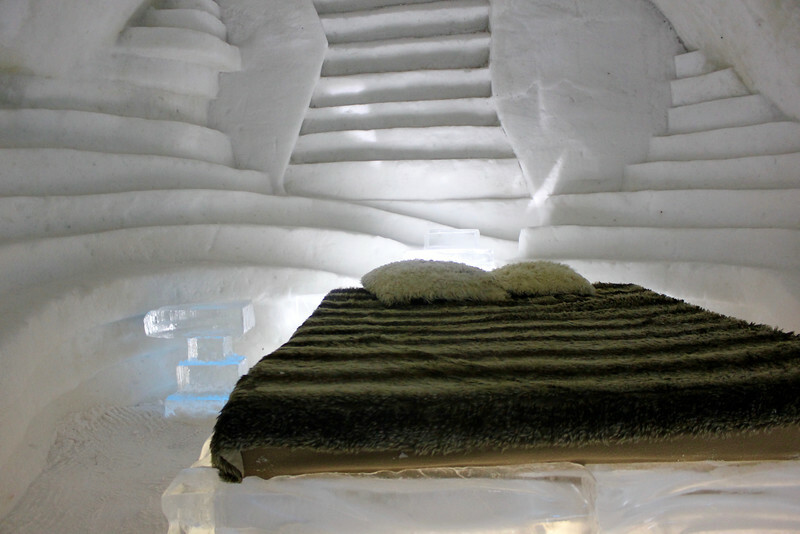 The bed consists of a mattress on top of a wood frame on top of a block of ice. 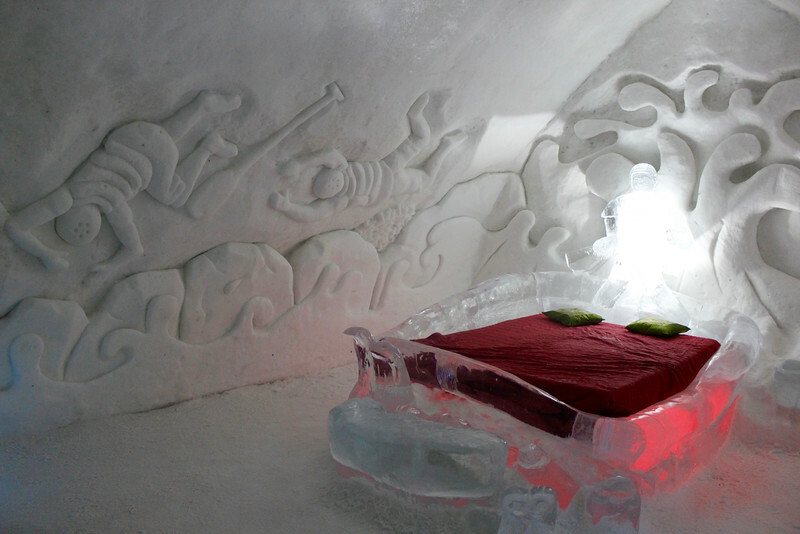 The fur blanket is just for show – guests are provided with a “Nordic Sleeping Bag” to use during the night. But if you need a break from the cold, there’s a building located behind the hotel with lockers, showers, food, and a TV. Or you can head to the outdoor hot tub and sauna. 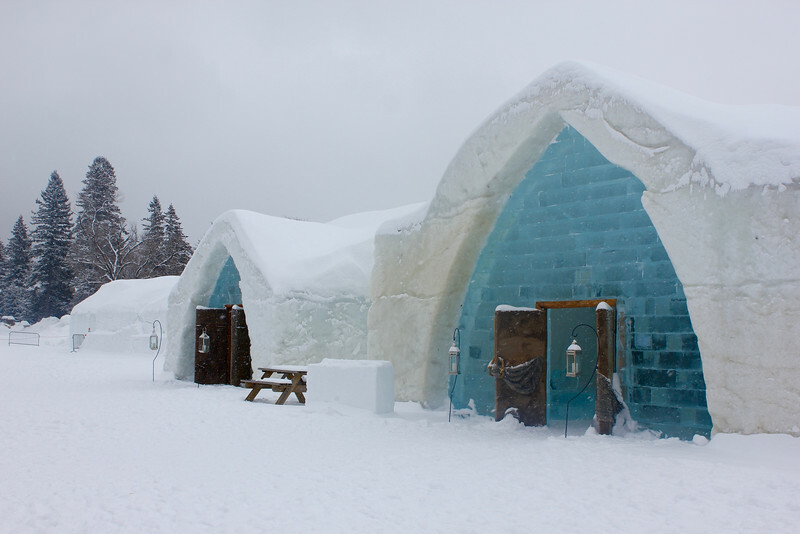 During the day you can entertain yourself with activities like snow slides, snowshoeing and ice skating in the Winter Playground. 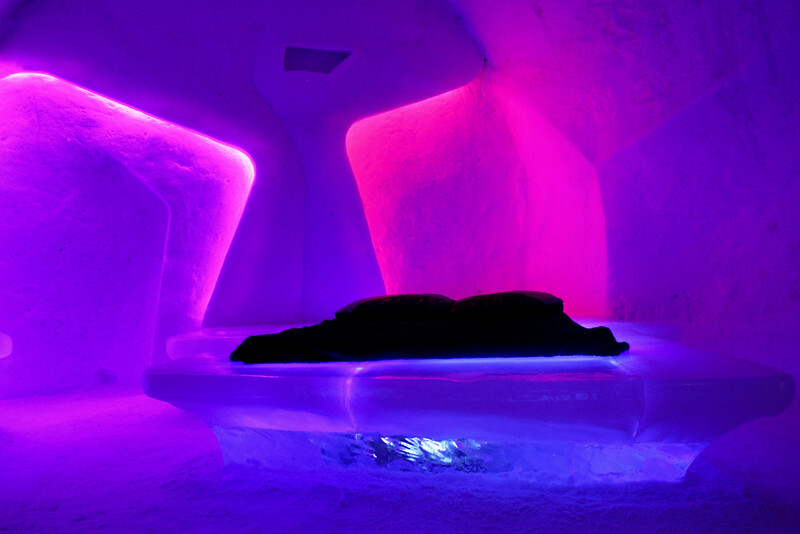 This was the “Premium Deluxe Arctic Spa,” which included its own fireplace and hot tub. Is this the perfect setting for a fairy tale wedding or what? 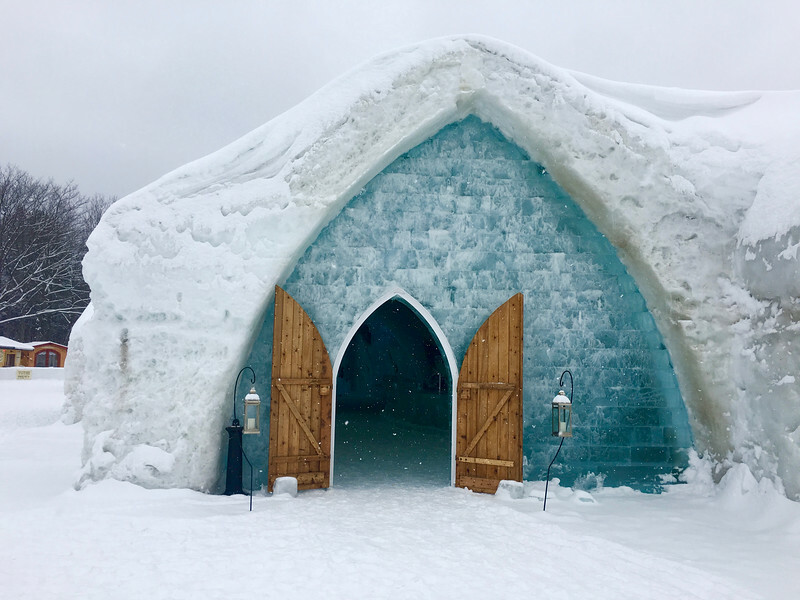 Sadly, you will not have the opportunity to see this particular ice hotel ever again – it was demolished the weekend following my visit in mid-March 2016 as temperatures started to rise. 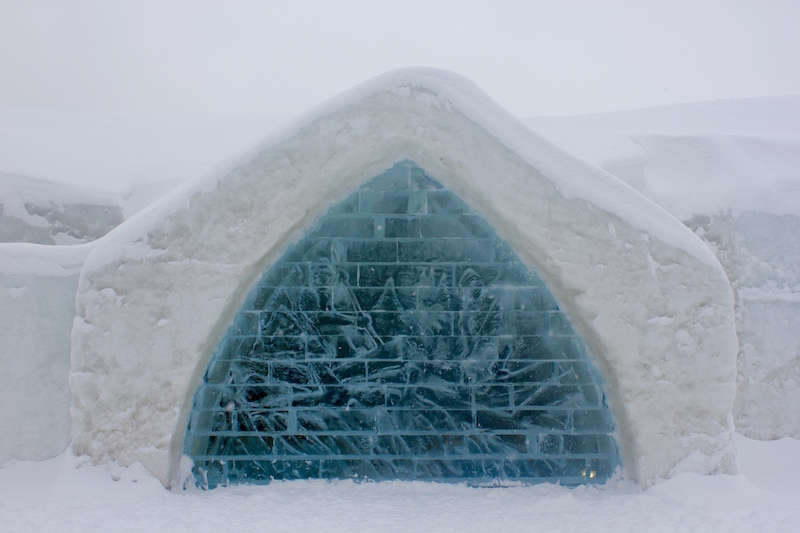 The 2017 Hôtel de Glace is currently under construction and will be open from January 4 to March 26. 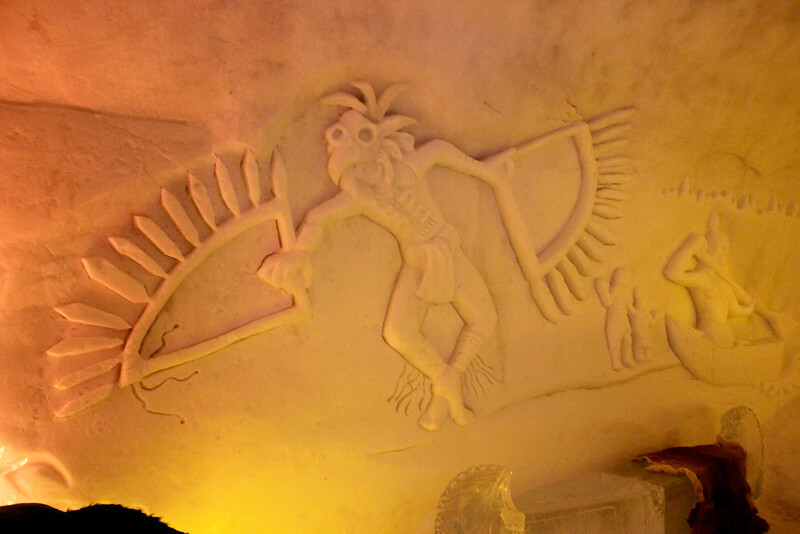 Details on next year’s design haven’t been released yet, so stay tuned and start planning your trip. 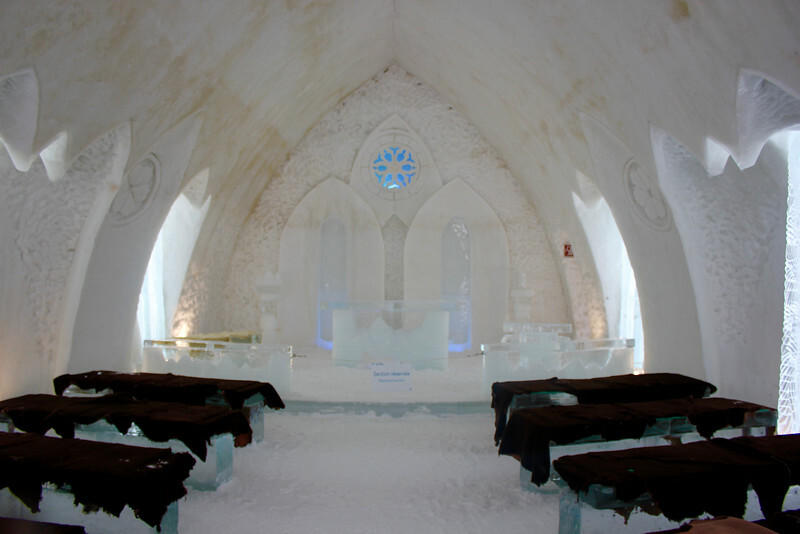 What else is there to do in Québec City? Read about the rest of my visit here. 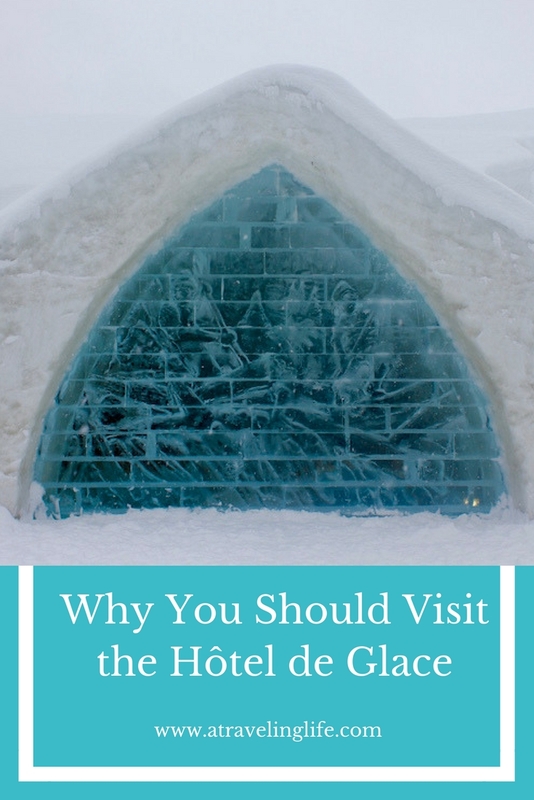 Thank you to the Hôtel de Glace for providing me with a complimentary tour and cocktail. I agree! 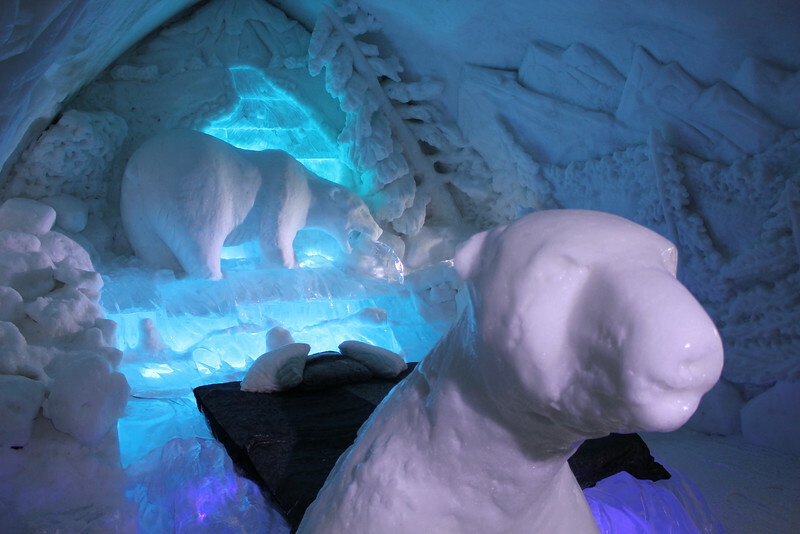 If you get back up north this winter, let’s go! Wow, you totally should have stayed there! The experience alone would have be amazing. 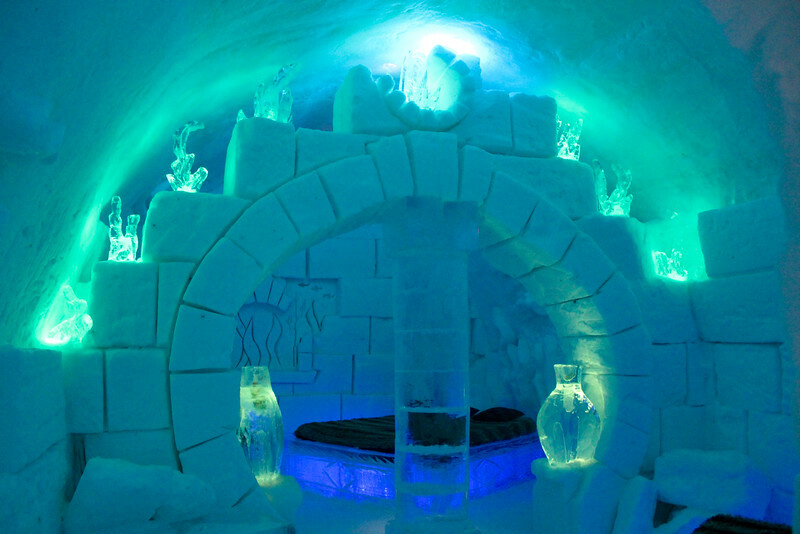 Staying in an igloo/ice hotel is high on my bucket list! I know, I think we missed out! I need to go back!